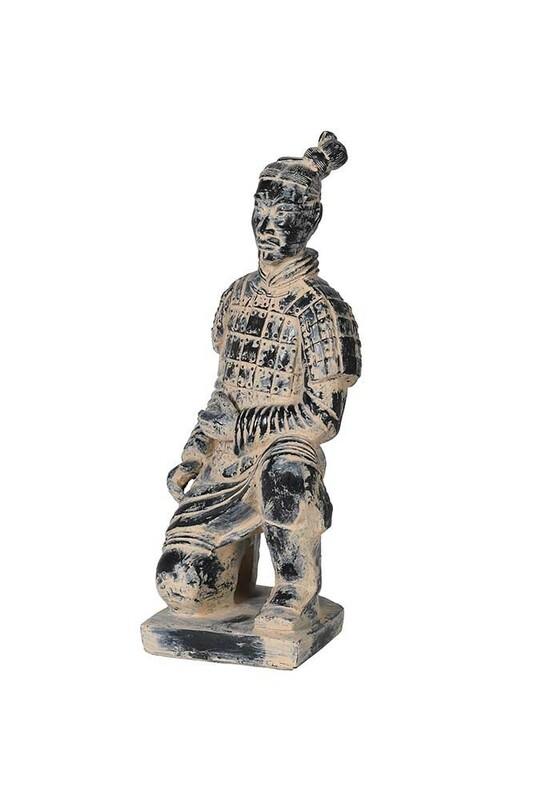 Cool and quirky, the Kneeling Qin Dynasty Figure Ornament will breathe new life into your interiors. Overflowing with personality and individuality the Kneeling Qin Dynasty Figure Ornament is made from polyresin and is intricately detailed with a traditional oriental style robe. The oriental warrior display piece measures 33cm in height x 12cm in width. The Qin Dynasty was the first dynasty of Imperial China and the armed warriors were clothed in distinctive traditional robes that remain recognisable of this era today. A reminder of this time, our collection of Qin Dynasty Figures will make a unique talking point for your home interiors, adding a sense of history and story to style spots and display shelves. 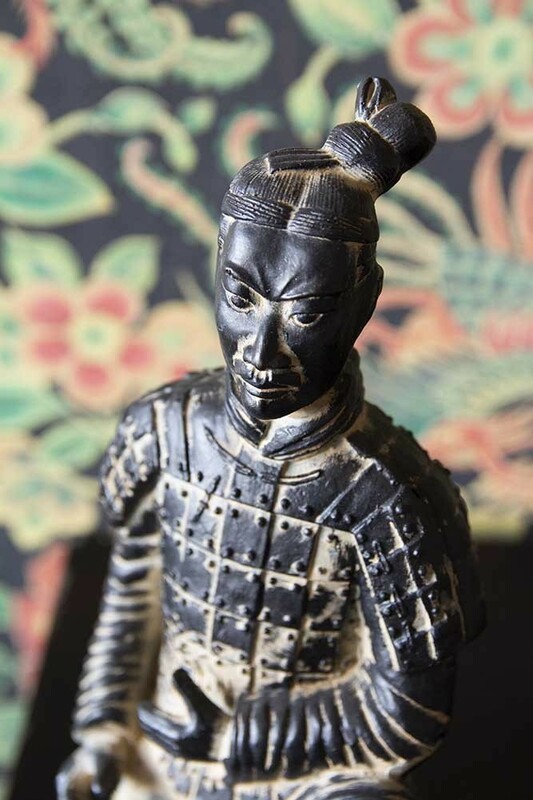 Available as a Standing Qin Dynasty Figure Ornament and as a Kneeling Qin Dynasty Figure Ornament we think that you will love this piece for its history and quirky charm. 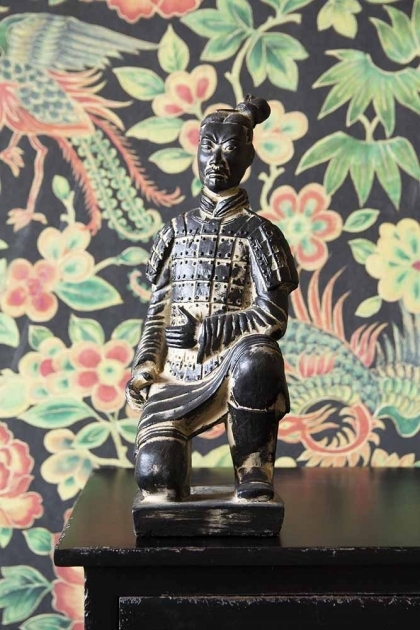 Characterful pieces like this Chinese Warrior Ornament can be displayed anywhere in the home to create impact. But we think that this Army Warrior will look great on your coffee table and side tables in the living room or on your console tables in the hall. Another idea, would be to gift this wonderful display dynasty figure to a loved one who loves eclectic items, so that they can display it in their homes too.